In The Conservative Heart, Arthur Brooks, the president of the American Enterprise Institute – the leading intellectual think tank on the right – offers a bold new vision for conservatism as a movement for social and economic justice. After years of a singular focus on the promotion of economic growth, job creation, and traditional social values, it is time for a new movement – one that helps the vulnerable but doesn’t mortgage our children’s future. A movement that fights poverty, promotes equal opportunity, celebrates earned success, and values spiritual enlightenment. A true movement of ethical populism with a positive agenda to help people lead happier, more satisfying lives. This movement is possible, but it means changing the arguments that have held sway for so long. And we need to begin with an action agenda for putting these concepts to use, one that should be based on the best practices from the private and nonprofit sectors. They have the necessary experience employing these “institutions of meaning.” A separate policy agenda would complement private action through reform of education, regulation, entitlements, taxes, and health care. 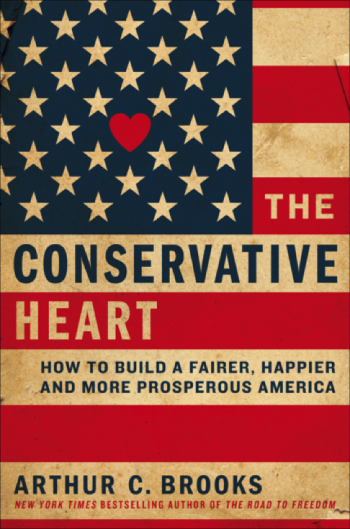 Combining reporting, original research, and case studies, and free of vituperative politics, The Conservative Heart is an intelligent and compelling manifesto for renewal. Clear, well-reasoned, and accessible, it is a welcome new strategy for conservatives looking for fresh, actionable ideas to address the serious problems confronting us today and for politically independent citizens who believe that neither political party addresses their needs or concerns. The Conservative Heart is dedicated to charting this path in a politically appealing and accessible way. A call to action, it will generate the kind of debate that has been lacking for so long.